National dialogue about teacher shortages is skewed by a flawed view that the issue is one generic problem. Reports in the 1980s and ’90s predicted a national teacher shortage crisis, but since then, teacher supply has actually kept up with student enrollment, creating a much less dire situation across subject areas. Today, shortages are a more localized issue. 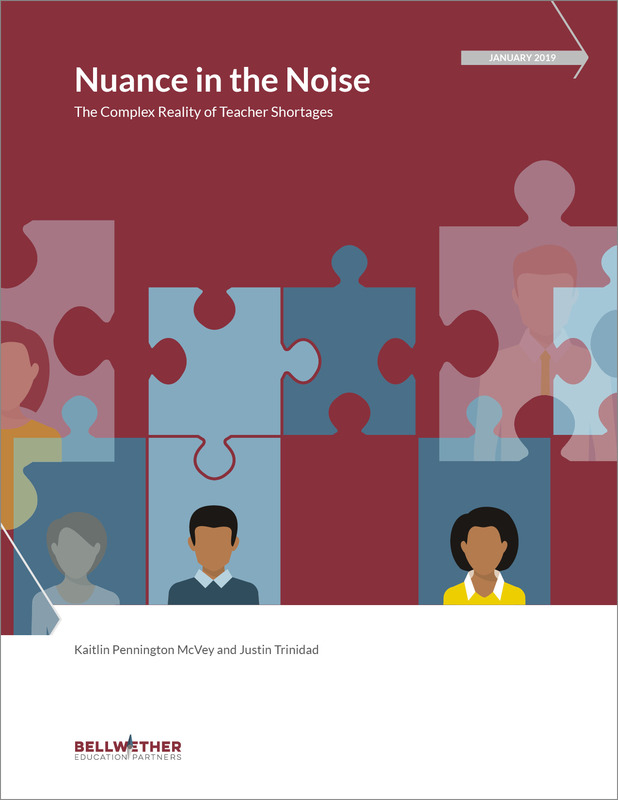 In “Nuance in the Noise: The Complex Reality of Teacher Shortages,” we analyze the U.S. Department of Education’s national data on teacher shortage areas reported by individual states and territories between the 1998-99 and 2017-18 school years. While our analysis confirms the existence of certain national trends, the data also show that there are significant differences in teacher shortages by subject area and across states due to a mismatch between teacher supply and demand. Frequently reported shortage areas for many states include special education, mathematics, science, and English as a second language. Less discussed subject areas, including foreign languages, career technologies, and the arts, were also frequently reported as shortages. Importantly, our analysis focuses on where and in which subject area shortages exist with the most consistency over time rather than the magnitude of need. Existing solutions to address unique teacher shortage needs include offering financial incentives, reforming teacher licensure systems, diversifying teacher preparation pathways, and using retention strategies. However, these solutions are not being adopted at scale likely due to a lack of understanding of acute teacher shortage challenges. For the education sector to fully understand the specifics of teacher shortages, districts, states, and the federal government must develop better and more consistent data collection and reporting. Download the full report here or read it in the viewer below.